A group of our writers exchanged their own revision notes to see what kind of a person they are when it comes to revising. Revising is a stressful time, it brings out the best and worst in us so by that logic our revision notes should say something about us – the best or, perhaps, the worst. 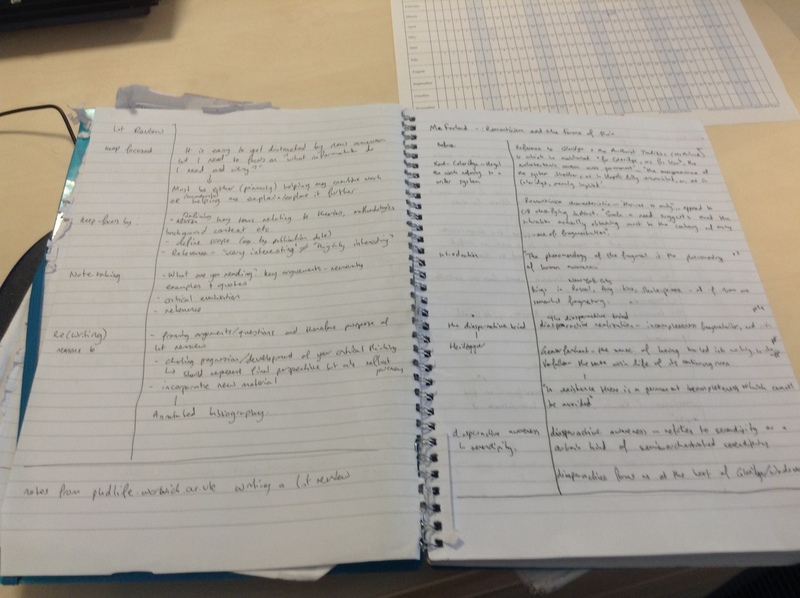 By looking at these notes you can figure out what your revision notes say about you – the good, the bad and the ugly. 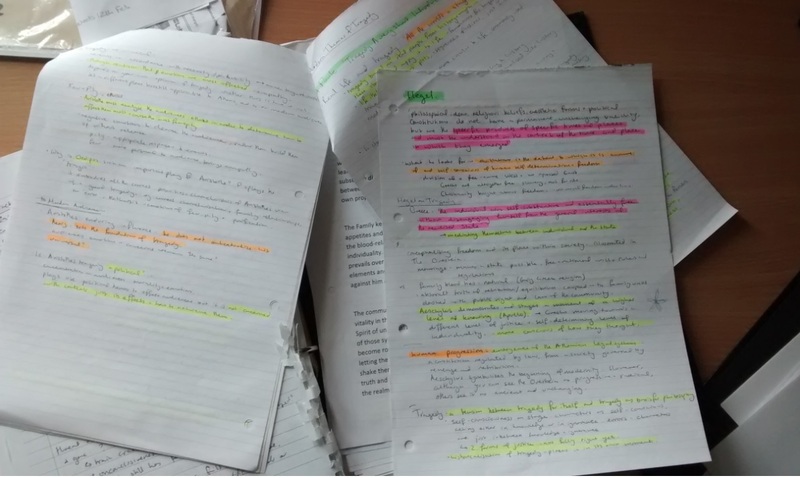 These kinds of revision notes – the ones with scrawls across the page, with countless crossings out, with extra words, arrows linking one sentence to another – makes you The Angry Reviser. You hate revising and your notes show it. You get stressed, words are not being your friend, they seem to feel your stress and hatred. Arrows are your formula to connect so if someone were to ask you what exactly you were doing you could follow the arrows like some test in Cosmopolitan. Next time you scream and scratch your pen across the page, put something under the table so you don’t damage it. And remember: revision may not be your friend but it’s the step to getting the exam over with. Your hand flies across the page as you write, you even smile as you do it. This makes you the Delicate Reviser. Your notes are clean, presentable and not clogged with highlights or underlines. It’s simplistic and delicate. Your revision notes say that you’ve given yourself the exact amount of time and you’re worry free. You make all the other revision notes jealous and you don’t mind that because you’re delicate and they’re not and that’s not your fault that they’re living in your delicate shadow. 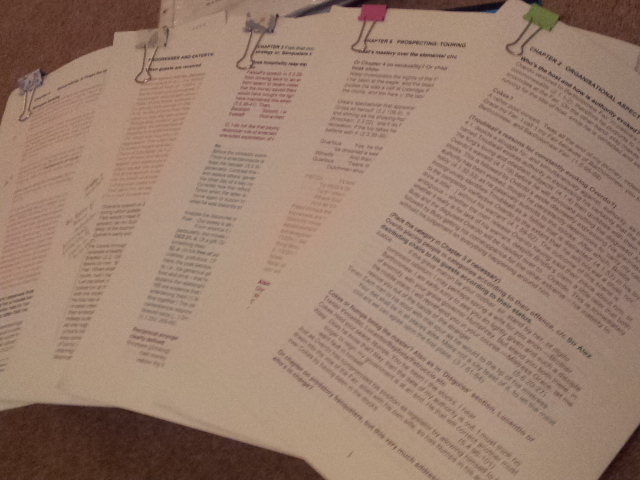 You’re one of those rare people that believe revising is fun, joyous you could say. 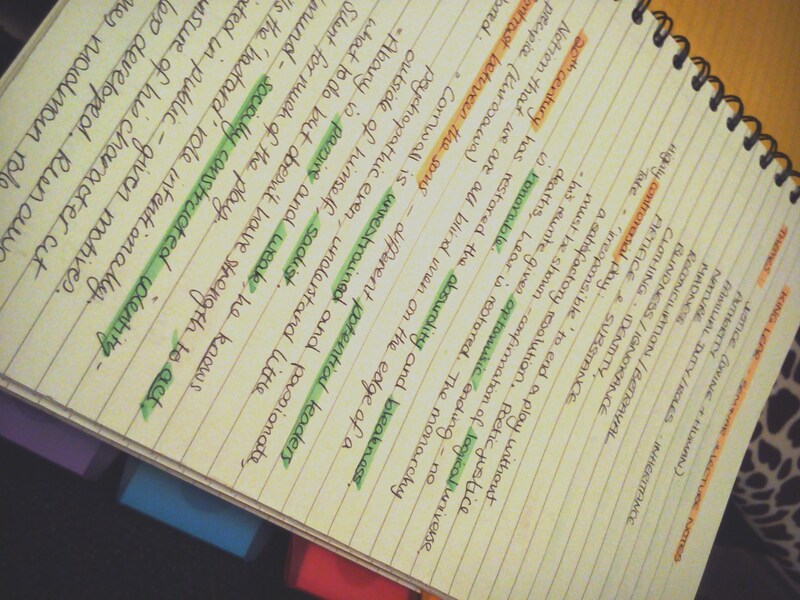 You wave your highlighter across the page, little prompts to remind yourself of what you need to know for your exam. You sit, write, highlight, write again, it’s a wonderful cycle which aids you in your education. One might say, they see a fairy dancing above you as you do so. Joyous. Keep being joyous and stay away from the angry scratching revisers. You think highlighters are your friend. Highlight one line, the next line, highlight everything and it makes you feel safe because highlighting, to you, means you know what you need to know and you’re content. But you know that highlighting is another form of worrying and by highlighting everything you’re worrying even more. Others around you are stressing, running their fingers through their hair and you’re thinking “look at me with all of my highlights, I’ve done so much.” But what if someone took the highlighters from you? What would you do then? Worry? Cry? Scream? Probably all of the above! Put the highlighters down, go and get some fresh air. Who in their right mind would type up their revision notes? Surely that’s just…that’s just more work? That’s what other people are thinking but you don’t care, you even print it off and write notes on the side. This is how you do things, this is how you learn and whilst others highlight or dance around, whilst others rip our pages or scream, you’re typing – perhaps manically, maybe calmly – and you do it in a way that suits you. You’re the Typed Up Reviser and there’s nothing too shabby about that. So, we ask, which reviser are you? Do you get stressed or stay calm? Does a lobotomy sound more appealing than revising? 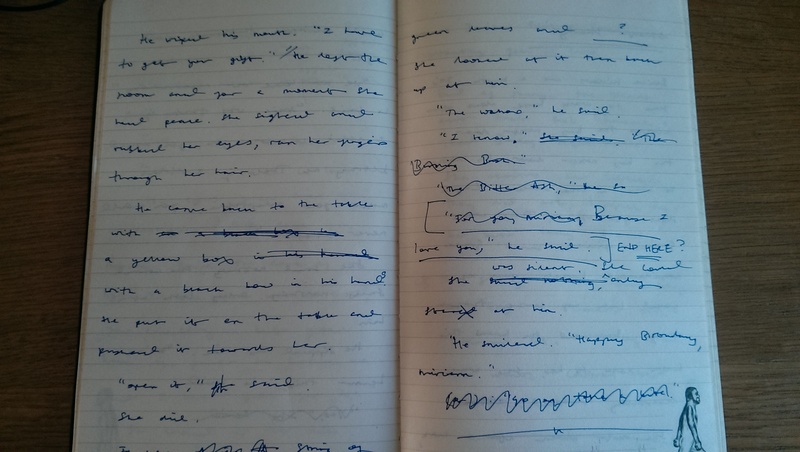 Are you scribbling notes as you read this right now? And crossing them out, starting over? What do you revision notes say about you? Let us know! We want to hear.